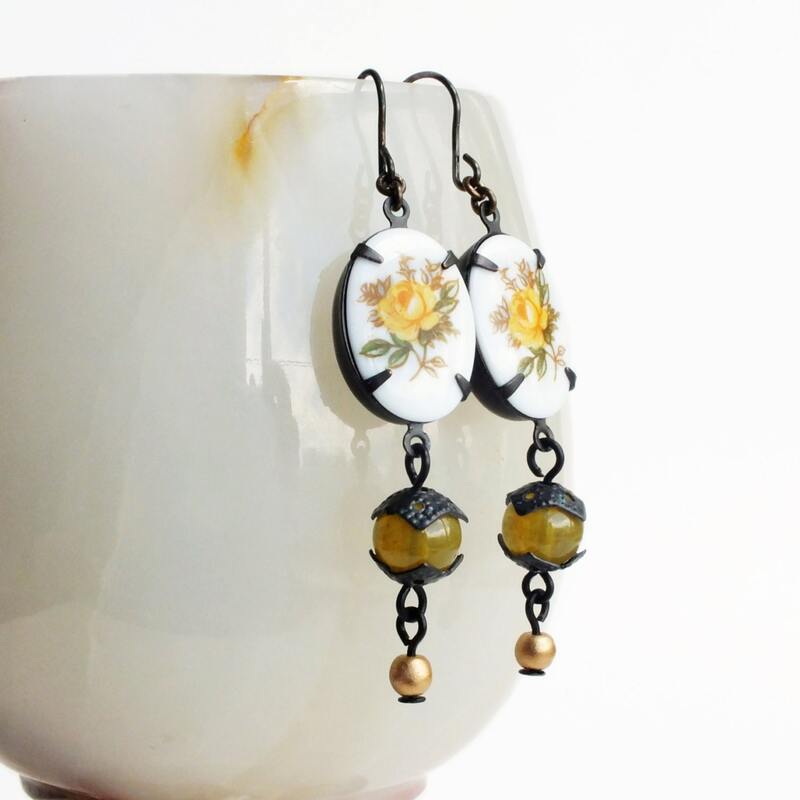 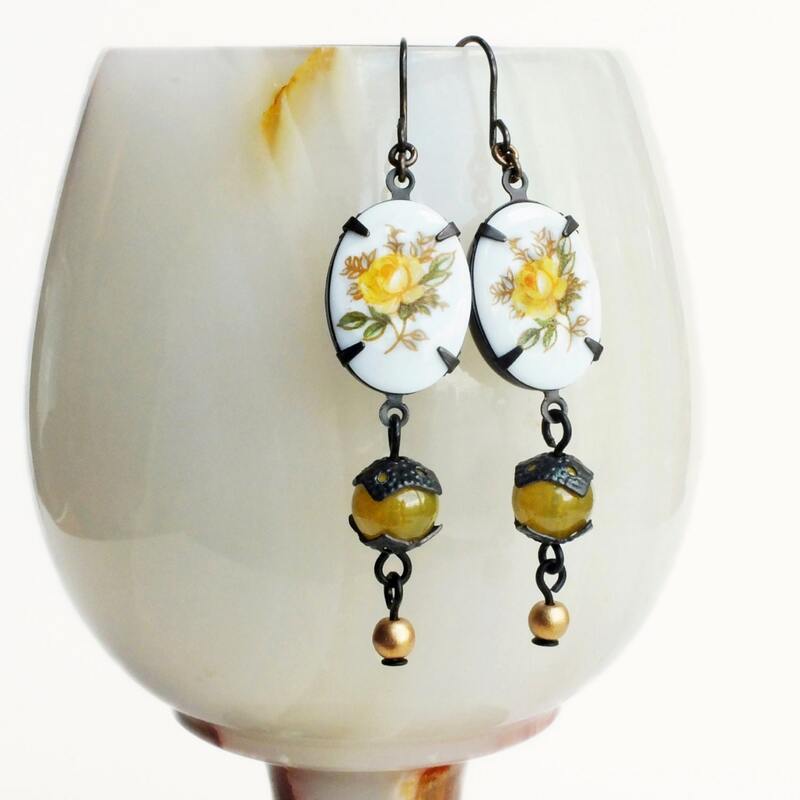 Handmade yellow rose earrings with vintage glass flower limoges and olive green beads. 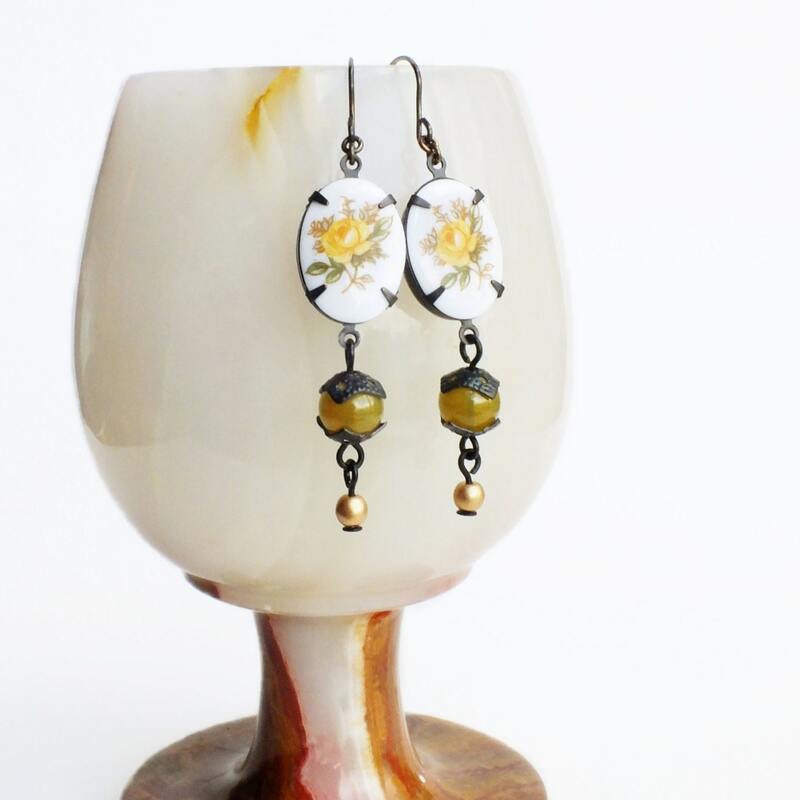 Oxidized brass ear wires made in the USA. 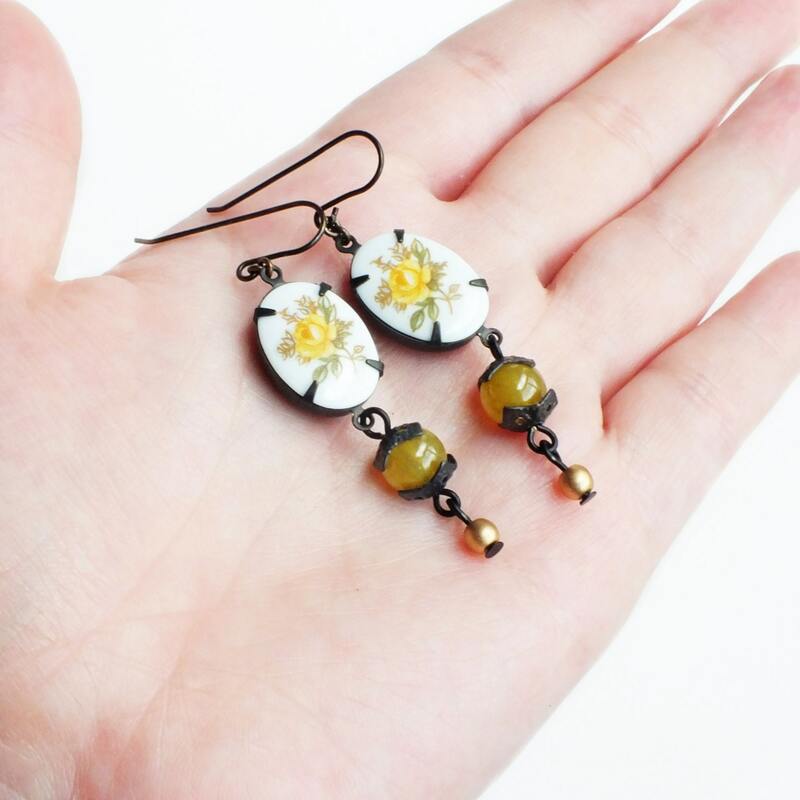 2 1/2 inches - 6.3 cm long. 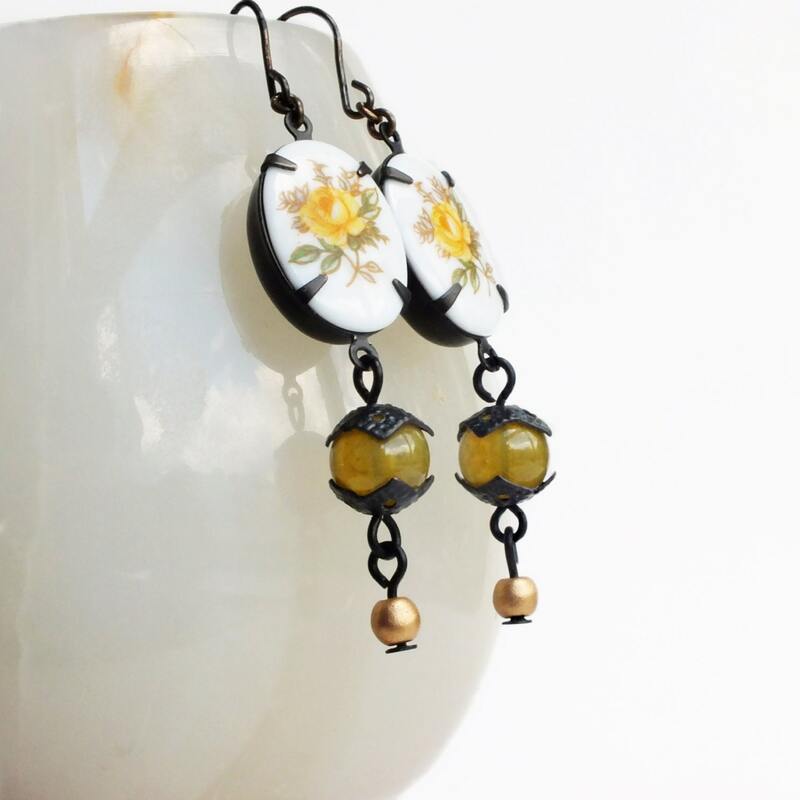 Victorian dangle earrings made with vintage glass yellow rose cameos set in dark matte brass pronged settings and adorned with vintage mottled olive green and matte gold Czech glass beads.